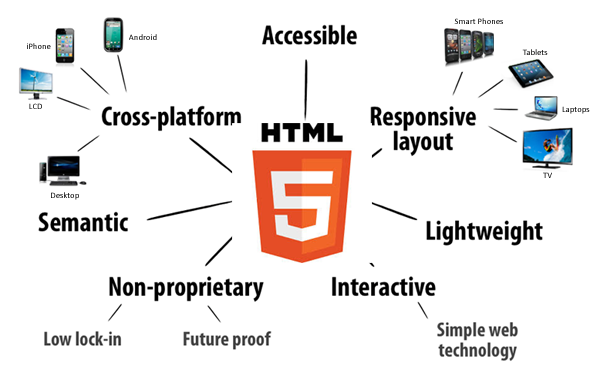 HTML5 is a new technology that allows our developers to build rich web-based Apps that run on any device via a standard web browser. LEADconcept team can build your Application that reaches our customers through whatever device they have, wherever they are; while using a Windows PC at work, an iPhone or iPad at the local coffee shop or an Android smart phone on the go. You can take advantage of cross-platform HTML5 languages, APIs, and tools, because your code is written using HTML5, your app works on new devices as they hit the market. In today's world, using HTML5 to build rich, interactive web pages or Web Apps to deploy across multiple browser and OS platforms.